First Drinks, the alcoholic drinks manufacturer, is looking for an agency to handle the digital and customer relations marketing business for its Grant's blended Scotch whisky brand. The company has approached a number of undisclosed agencies about the business, as part of a big marketing push to improve awareness of Grant's. There is no incumbent on the Grant's advertising account. At present, all of its marketing communication is handled in-house. The brand's media planning and buying account is looked after by John Ayling & Associates. 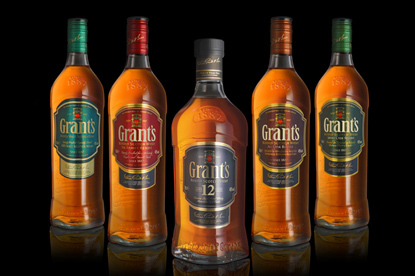 The Grant's whisky brand, which is two years away from celebrating its 125th birthday, is produced by the William Grant & Sons distillers, which is also responsible for producing Glenfiddich, Balvenie single malt whisky and Sailor Jerry rum. News of the pitch comes two months after Stella David, the ex-chief marketing officer of Bacardi, joined William Grant & Sons as its chief executive.